Sheffield is the birthplace of modern football and had a huge influence on the developing game. The Sheffield Football Association rivalled the game’s ruling body and had a large say in the formation of the Laws of the game. In its day, it was the world-leader in innovative football-firsts responsible for introducing referees, the one-man offside rule, heading, the use of a crossbar, penalty kicks, corner kicks and free kicks. 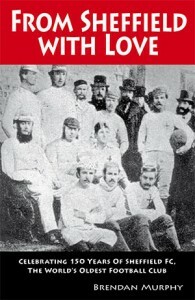 October 2007 marked the 150th anniversary of the founding of Sheffield FC, the world’s oldest football club in any code. There were considerable celebrations in England and among the wider football community with Inter Milan, AC Milan, Ajax, Real Madrid and Barcelona all involved. ‘The Club’, as it is universally known, has attracted a host of celebrity sporting members including Pele, Sven Goran Eriksson, Michael Vaughan, Sepp Blatter, Eric Cantona, Sir Bobby Robson, David Blunkett, Kenny Dalglish, Gordon Banks, Chelsea FC and Def Leppard. In recognition of its unique position, Sheffield FC received a FIFA Centenary Order of Merit in 2004. Only one other team has been honoured with the Order, Real Madrid. When professionalism arose in the late 19th century, Sheffield FC decided not to embrace it, allowing the rise and growth of Sheffield Wednesday and Sheffield United. The Club kept going as an amateur concern and are currently in the Northern Premier League’s Division One South, seven divisions below the Premier League. A tribute to the part played by sons of the city in the development of the world’s most popular sport.